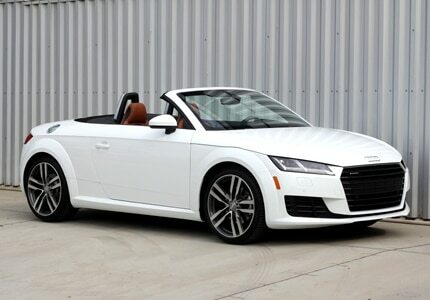 We can't imagine anyone saying no to a ride in this head-turning Audi TT Roadster. Meant to be driven with the top down, the 2.0-liter turbocharged two-seater is as sporty as it is chic. Beach, city and mountain-ready rides like this don't come by very often.